Come to Pindrop for all your Calgary hearing aid centre needs! Shopping for a Calgary hearing aid centre can be overwhelming and confusing. The hearing professionals at Pindrop make it simple. Our job is to serve you – from evaluation all the way through follow-up care. Our highly skilled team of audiologists, client care specialists, and hearing aid technicians work together with you to put together the best plan for your treatment. When you call Pindrop, our courteous, competent staff will schedule you an appointment for an evaluation. We have a skilled team of experts with over 20 years of experience in the industry, and they are fully qualified to assess, diagnose, and treat your hearing loss. Once we determine the level and type of hearing problem you have, we sit down with you to design a treatment plan that you’re happy with and that fits your lifestyle and hearing preferences. 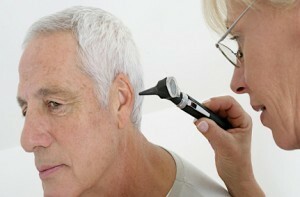 If we prescribe hearing aids for you, we may perform measurements of your ear at the time of your evaluation. One to two weeks later your hearing device will be ready and you will return for a fitting and programming appointment. We will make minor adjustments at this appointment, and then a couple of weeks later, once you’ve had a chance to get used to your new device, we will do further adjustments to tweak your device to achieve optimal performance for you. Hearing loss affects every aspect of your life, and at Pindrop we understand that enjoying life and understanding what your loved ones are saying is of the utmost importance to you. That’s why we work hard to make you comfortable and get you on the path to a fuller life through better hearing. For your all-inclusive Calgary hearing aid centre, call Pindrop today at 403-503-0211.